Home National La Niña Is Here. This Is What That Means for Costa Rica. La Niña Is Here. This Is What That Means for Costa Rica. The climatic phenomenon of La Niña began to be present in Costa Rica and expected to last for almost six months, until March or April of 2018. La Niña, originating from Spanish, meaning “little girl”, is a coupled ocean-atmosphere phenomenon that is the counterpart of El Niño. What Will Be Its Impact in Costa Rica? According to meteorologists of the Instituto Meteorológico Nacional (IMN) – the national weather service – La Niña would cause an increase in rainfall in the Central and Southern Pacific, while at the other extreme, a “dry” in the southern Caribbean. In the North Pacific, Central Valley, northern zone and northern Caribbean the normal conditions of the season would be maintained, according to the IMN. The phenomenon will also cause “a delay in one to two weeks for the end of the rainy season, though air temperatures would be within normal ranges,” according to the IMN. In addition, the one or two cold fronts during the dry season would be less than normal, the forecast indicates. That means that the typical cold spell that is normal in most of the country between Christmas and the first couple weeks of January, will be less. “Although, to this day, La Niña is officially declared by the NOAA International Climate Centers (National Oceanic and Atmospheric Administration of the United States) and the IRI (International Institute for Climate Research and Society), the influence in the country has been presented since September,” said the IMN. “Therefore, the intense rainy season of this year on the Pacific coast can also be attributed, in part, to the period of development of this phenomenon,” the IMN added in a press release. According to the forecast of the sea temperature index, there is a high probability that this La Niña event will be consolidated. “It would reach its maximum intensity in the course of the next few months and could extend until March or April of next year, because of the magnitude of the cooling in the sea, it would be of low intensity (between -1 ° C and -0,5 ° C) and short duration,” said the IMN. Although we will not see weather conditions like this in Costa Rica (hope not), La Niña patterns include above-average precipitation and colder-than-average temperatures. La Niña impacts the global climate and disrupts normal weather patterns, which as a result can lead to intense storms in some places and droughts in others. However, each country and island nation has a different threshold for what constitutes a La Niña event. There was a relatively strong La Niña episode during 1988–1989. La Niña also formed in late 1983, in 1995, and a protracted La Niña event that lasted from mid-1998 through early 2001. This was followed by a neutral period between 2001 and 2002. The La Niña which developed in mid-2007, and lasted until almost 2009, was a moderate one. 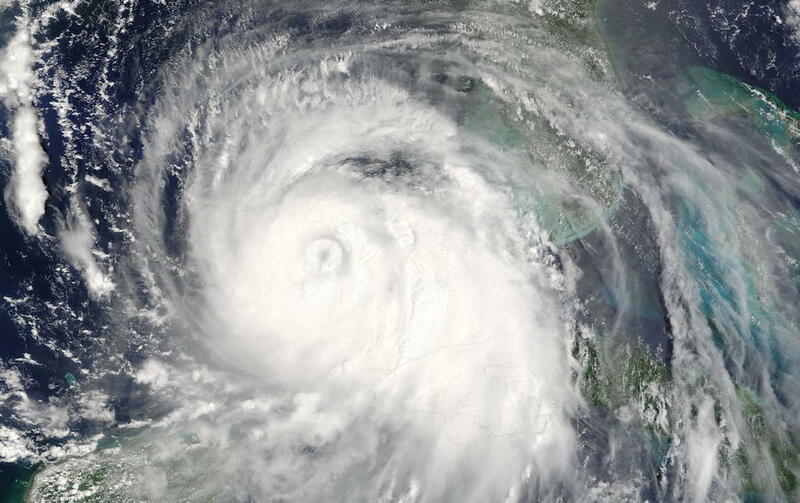 The strength of La Niña made the 2008 Atlantic hurricane season one of the five most active since 1944; sixteen named storms had winds of at least 39 miles per hour (63 km/h), eight of which became 74-mile-per-hour (119 km/h) or greater hurricanes. La Niñas occurred in 1904, 1908, 1910, 1916, 1924, 1928, 1938, 1949–51, 1954–56, 1964, 1970–72, 1973–76, 1983–85, 1988–89, 1995–96, 1998–2001, 2007–08, 2010–12 and 2016–17. The November 2016 episode of La Niña was largely attributed to the formation and impacts of Hurricane Otto, the first hurricane to ever land on Costa Rican soil. Previous articleColombia: Is Cocoa The New Cocaine?